My Dog Ate Fish Oil Pills - Help! I came home from a quick, two hour long trip to the store to find a 400 capsule bottle of fish oil pills spilled out onto the dog’s bed. We’ve been giving them one, 1000 mg capsule per day to help with arthritis and inflammation – turns out they like them a bit too much… Upon closer inspection, and a re-count, I estimate that my dog(s) ate between 150-175 of the Omega-3 Fish Oil pills. Both dogs seem fine (even the one I know ate them all on his own). After doing some reading and researching of my own I’ve found that there is no “remedy” for a Fish Oil overdose, either in dogs or humans, and that the best thing to do is to offer supportive therapy. For the next few days I will be keeping a close eye on the dogs, making sure to keep them fed and hydrated. I am expecting there to be a fair amount of loose stools and diarrhea, and will be sure to seek medical care if at any time they appear dehydrated, listless, or otherwise ill. Pancreatitis (due to the high amount of fats ingested in a short amount of time), gastrointestinal upset and dehydration appear to be of highest concern in the event of a Fish Oil overdose, but I’m hopeful that their iron stomachs can handle the bit of extra lipids. They should be good as new in a few days; maybe even sporting a shiner coat! One thing to check for if your dog ate Fish Oil with any type of Omega (Omega 3, Omega 6, Omega 9 Fatty Acids) is to make sure that the Fish Oil capsules do not also contain Vitamin A or Vitamin E. If your dog has ingested Fish Oil that contains Vitamins A or E, it is more serious because Vitamins A and E are fat soluble vitamins, meaning they will be absorbed into your pet’s body instead of being excreted in the urine. A build up of excess Vitamin A or E can be toxic, and your dog should be seen as soon as possible to avoid any potential complications. Fishy smells burps and flatulence. One of the dogs is drooling slightly, and I STRONGLY suspect he acted alone on this fishy mission. He doesn’t seem worse for the wear, and ate a full dinner. Had a solid BM during his evening walk (only slightly unusual because they generally only go in the morning), and no loose stools. I kept him in the kitchen overnight just in case, but no vomit or diarrhea. The fishy burps are gone, but the flatulence remains. Slightly softer stool this morning, but nothing major. Drooling stopped after the first few hours post ingestion yesterday. I kept him in the kitchen again, which was a good thing because he did have a loose bowel movement overnight and subsequent accident. He did not go again when taken outside, and no vomit. His appetite is the same, and he is eating/drinking normally. Loose stools in the morning, but ate regularly again in the morning. Kept in kitchen area all day and did not have an accident. As an added bonus his coat is starting to get really shiny! Omg… My pitbull did this tonight. I hope he’s gonna be ok. Boy did you save a restless nights sleep! I have a 95lb rottie that just got into a box of fish supplements. She ate about (I didn’t inventory the throw up) 150-200 (1000 mg)fish oil capsules. I am guessing it’s 3-7 hours after she ate them I found out, she seems a bit tired, will still go crazy after her ball and ate a normal dinner. While laying down she has this look of “what the hell did I just do!? I’m figuring she’ll be fine, I will keep a close eye on her. Expecting a mess and I know I can’t be mad if she has an accident in the house. She will have limited access of course. Say a prayer or keep your fingers Crosssed! Thanks for the day-to-day breakdown. Most people wouldn’t have thought to sum it up quite as well as you have. Definitely helped ease a panicked fur-mom’s worries tonight. Wanted to take the time to say thanks for that. my bulldog just did this, she jumped on the counter while i was out and ate about 30 capsules of 1000 mg fish oil, about 30 of 500mg garcinia cambogia, and about 90 of 580 mg bee pollen. im so mad shes never gone up on the counter before today, even when there was food sitting there! My english bulldog just did this . We just got a new capsules of 360 and we’re missing 150 . Was there any negative affect on you’re bully . Thanks for this post! 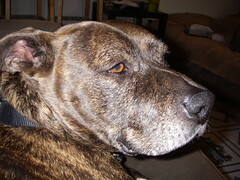 My 11-yr-old 40# pit mix just ate about 35 1000mg (300mg active omega-3) softgels. I’m still worried but somewhat reassured by the detailed description of consequences. She sleeps under the covers with us and I don’t care what kind of mess she might make as long as she’s okay. Thank you for posting this very helpful message. My Australian cattle dog just ate a fish oil capsule, meant for my husband. We will keep a close on him today. Thank you for posting this!! Our black lab just ate a Costco sized bottle of fish oil while we were out. Let’s home his ‘lab stomach’ doesn’t fail us! Going to follow your lead and keep him in the kitchen. That happened when we took a neighbor kid on a trip with us. I woke up in the middle of the nite and heard her eating a bunch of candy bars her mom gave her for the trip. I felt bad because we hadn’t eaten much that day and though she must have been starving! When I woke up I realized it was my golden who decided to eat 21 days worth of fish oil caps all in one nite! Thought we’d have a terrible drive the next day, but he had no reaction from it! Praying the 2400 my of fish oil my 10 pound 13 year old poodle stole tonight doesn’t kill him. Your pits seem to do fine but there is a huge weight difference. Will update as we progress. Thanks for your article. My 10 lb dog ate omege 3 capsule (500 mg) that fell on the floor. I was worried but i will keep an eye on him. This had me so worried, I noticed that my 5 month old pitbull had something in its mouth, upon closer inspection it reveled That it was the fish oil that was stored in my kitchen, i was extremely worried, but not anymore, tysm!! I just got home and found My Shar Pei/Lab cross just chewed open a bottle of Fish Oil (Omega 3 only) and downed about 200 1000m gel tablets. I am so glad I have the experience of others here in this forum to draw from. Not to mention, that although I am shocked he chewed open the bottle, it is much more common than I would have thought. I have had the bottle on a lower shelf for years to give to my GSD. The dog who ate them is a new addition to our family, we just adopted him from the Humane Society a couple of weeks ago and it never occurred to me he would get into them. Tomorrow’s chore will be to Jarven proof the house. I wish I had read thie 1st. My bonemouth sharpei ate a whole new bottle I had just open, ate the top off. I fed him pumkin so he would poop out the capsules brfore they broke down. I give them to all my dogs for fur issues. Gah. My greyhound just ate my Costco fish oil capsules…not a one left by that li’l devil dog! The vomit was a gelatinous mess, but other than that no side effects yet! Thanks to your post I know what to expect as the hours pass. Relieved to know that I’m far from being alone in this plight. An hour and a half grocery trip turned into a real “party” for my Pit. Not only did he tear into the recycling can, he found the brand new fish oil capsules on the counter. What is it with these things? About 3 hours post “party” he vomited on my bed. We shall see what other surprises are to come. God help me and him…. Glad you posted this article. My Chocolate Lab just ate about 175 1000mg concentrated fish oil capsules. He did vomit some clear liquid. Will keep a close eye on him. He got them from way back on the countertop where I keep the fish oil when I have a bottle to give the dogs. Glad I took about 100 out for my one dog who will be traveling with me for a couple of months. Thank you so much for posting this. I came home to an empty bottle. I’m approximating that my choc. lab ate about 100. As she is my baby girl, I instantly go into panic mode. But it is nice to hear your dog was okay, hope the same for my Charm. Thank you thank u one and all as my Giant Schnauzer (17 months) opened a child proof new bottle and consumed about 100 or so double strength fish oil. Quickly checking Dr Google reassured me what to expect. Checked with the vet by phone she confirmed all the comments. Now waiting for the smell to go. Ok so my 2 month puppy just ate about 5 to 10 fish oil pills. I do not know what kind they are, but I am worried. Do you think it’s likely for them to die? And today they have been having gas, and it smells so bad, just like the fish oil pills. How is your puppy now? Did he do just fine? Grateful for this thread…our 2 year old Lab/ Great Dane rescue…about 65#…ate approximately 80….1000mg fish oils caps….vet said watch her….has been 3 hours…nothing yet….suppose to feed her bland food for a few days as we observe for possible pancreatitis…. Please let the big silly dope be ok! Oh guys thanks for posting just found our new Costco krill bottle all but 2 of 160 capsules have magically disappeared down the throats of one of our 2 chocolate labs. Thinking it’s Wilma cause Fred not a thief like her. Thank you for posting! My pitbull knocked over my microwave and indulged on a bottle of fish oil that was sitting on top. I’m guessing around 150-200 capsules. It’s been a few days now and other than being gassy and smelling like fish oil, she seems normal. Was just worried about long term, lingering effects. 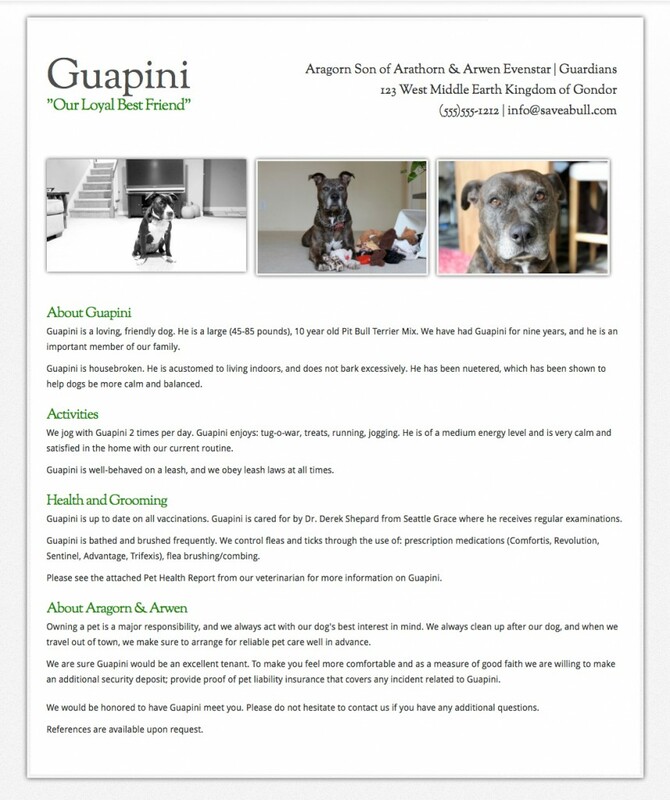 Has everyone who has posted had any problems weeks out or longer or have all dogs been ok?